4WD, LUV (side by side), Quad (ATV) and Tractor Training, Adventure and Consultancy Specialists in association with Toyota New Zealand and TR Master Drive Services. 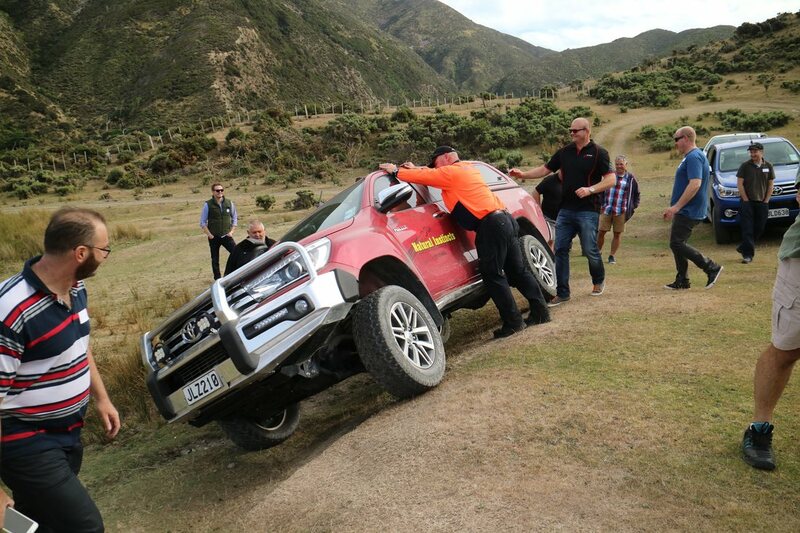 Endorsed by Toyota NZ, Natural Instincts offers specialised 4 wheel drive training and consulting services including four wheel drive courses and ATV training for a variety of industries. We are also proud to be 4WD consultants to Toyota New Zealand. At Natural Instincts our aim is to provide you with the most professional environmentally sustainable 4 wheel drive training and support services such as four wheel drive courses and ATV training in New Zealand. Endorsed by Toyota NZ we proactively work to develop long term relationships with our clients so we can understand your unique requirements and continue to cater to your transport needs as your business grows. We offer a variety of 4 wheel drive training to suit a range of needs including 4WD cars, utes, trucks, quads, side by sides, tractors, open spaces mowing, chainsaws and scrub bars, in-forestry driving and specialist environments such as sand driving, snow driving and extreme weather driving/access. Suitability of 4WD Accessories/Options for Intended Task(s), Extreme Access Requirements and more. We cater for team building events and general adventure experiences offering something out of the ordinary. Natural Instincts has a proven track record for hosting innovative style team building and events and adventure experiences based around 4WD vehicles and the great outdoors.